It's the wedding and engagements' season. 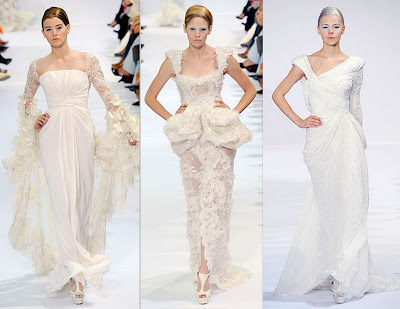 For those of you looking for the perfect dress, Elie Saab Haute Couture Fall 2009 is beautiful, elegant, and very romantic. You're bound to find the perfect dress in his collection. Colors used are white, cream, and light ivory. Perfect cuts and silhouettes. 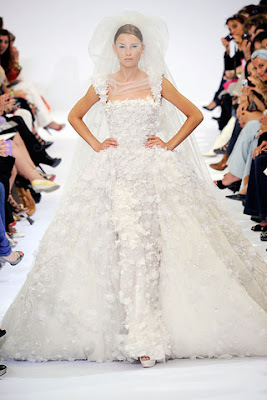 Mermaid long flowy gowns and lots of short dresses, beadings, lace, feathers flower pieces, it has it all. Very Chanel-like!